August 30th is National Marshmallow Toasting Day. The summer is winding down even if the heat isn’t, so here are some ways to celebrate this simple and fun holiday. The obvious way to celebrate National Marshmallow toasting day is to roast marshmallows. S’mores are an American treat, first published in a 1927 Girl Scout Handbook. Whether using your apartment barbecue or an outside fire pit, both parents and children enjoy the familial pleasures of cooking outdoors. Roasting Marshmallows is a fun, messy, and spontaneous activity as it is, but there are other ways that marshmallow enthusiasts celebrate this holiday. For example you can run a marshmallow race, where each contestant puts a marshmallow on a spoon and tries to make it from point A to point B without dropping said marshmallow. 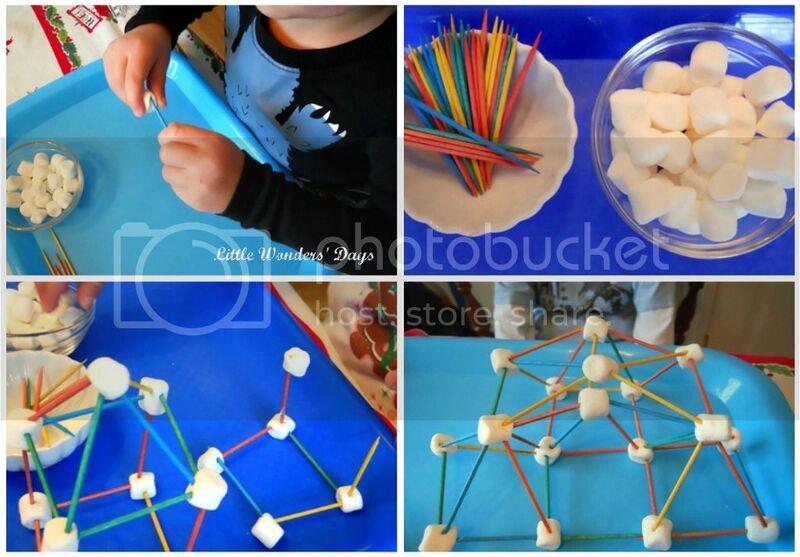 Another activity involves marshmallows and toothpicks, where you create buildings and creatures out of marshmallows by using the toothpicks to hold them together. If you have a pair of kids, you can have them hold a marshmallow in place between their foreheads and try to make it from point A to point B. There has been no evidence that this is actually possible, but it will be hilarious to watch them try! As for marshmallow trivia, marshmallows date back further than you may think. Before they were made of gelatin, sugar, and corn syrup marshmallows were made of a root of the marshmallow plant. The marshmallow plant had the medicinal function in Egyptian antiquity of curing sore throats. There is even an ancient Egyptian recipe that adds honey and nuts to the marshmallow root in order to make it a tasty dessert. The mass produced marshmallow we all know and love was an American invention in 1948. 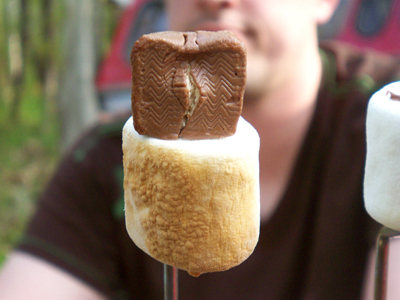 Hence the American holiday of National Marshmallow Toasting Day.